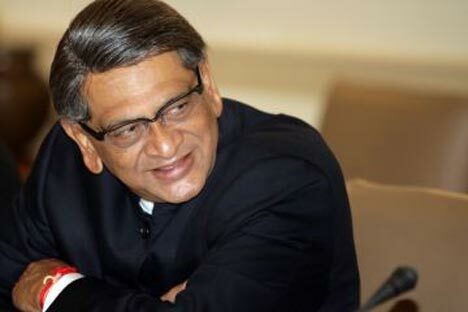 External Affairs Minister S.M.Krishna arrives in Cuba next week. What India presently endeavors to do in Cuba lies in the energy sector where ONGC has invested over 60 million dollars in oil exploration work. When External Affairs Minister S. M. Krishna arrives in Cuba next week, he will realize that other ‘Krishnas’ already reached there ahead of him. The International Society for Krishna Consciousness [ISCON] is active in Cuba. Lord Krishna is probably assisting a Cuban-American reconciliation – a ‘Track II’? Trust India to have missed out on Cuba’s tryst with God and religion. However, EAM’s itinerary makes a subtle point. The US-India Strategic Dialogue ends in Washington on June 14 and he lands in Havana the next day. And the Cuban part comes just before the G-20 Summit in Mexico (June 18-19). Hmm. A page out of John Bunyan’s Christian allegory The Pilgrim’s Progress from This World to That Which is to Come? Krishna has sought a meeting with Fidel Castro. Fidel must be a sad man watching India drift away from the Non-Alignment Movement [NAM]. But then, Fidel is keen observer who would have lately noted India’s belated rediscovery of the virtues of non-alignment in a multipolar world. Those were halcyon days when Fidel affectionately embraced Indira Gandhi while passing on the NAM leadership to her at the Delhi Summit in 1983. But what India presently endeavors to do in Cuba is no less significant, especially in the energy sector where ONGC has invested around $70 million in oil exploration work. The Indian company’s Spanish partner Repsol recently walked out following a tiff with the Cuban government. The Indians now would need to put in on their own another $160 million to begin exploratory drilling. In cautious estimation, prospects of striking oil are “bright although uncertain”. Also, what happens if oil is actually found? Will Havana allow Indians to handle their black gold? This is where revving up ties with Havana becomes important. Globalization may have its ‘discontents’, but it is bringing India back to Fidel’s Cuba.